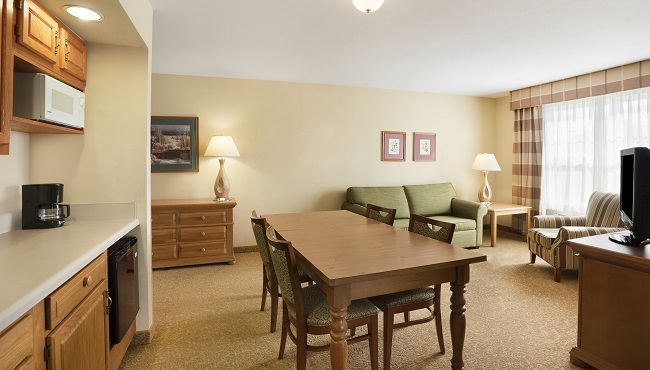 Whether you're traveling for skiing adventures or to attend a beautiful wedding, you'll find your ideal hotel room or suite at the pet-friendly Country Inn & Suites, Beckley, WV. A Serta Elite® pillowtop mattress ensures you get a great night's rest, and in-room coffee facilities let you wake up to a fresh cup of joe. Upload photos of your outdoor adventures using free Wi-Fi, or tune into an HBO movie while snuggled up with your four-legged friend. Traveling with a group? 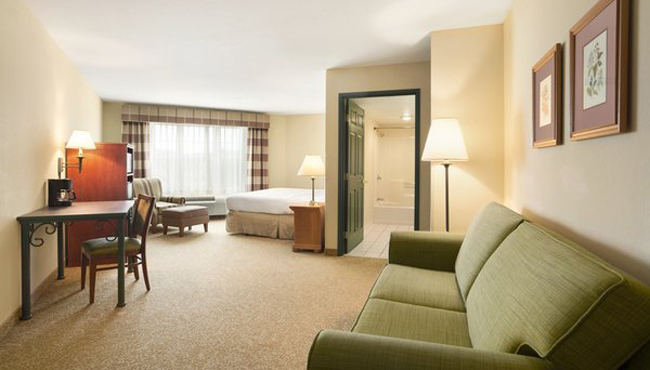 Book our Premium Suite, which includes a dining room and a spacious living area. 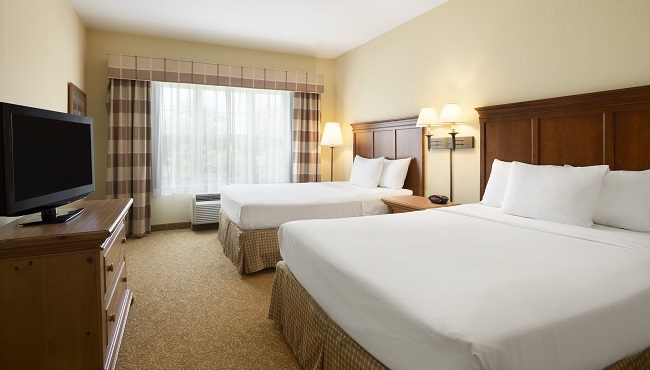 Feel at home in these comfortable rooms, which include all standard amenities like free Wi-Fi and a work desk, in addition to the choice of one king or two queen beds. 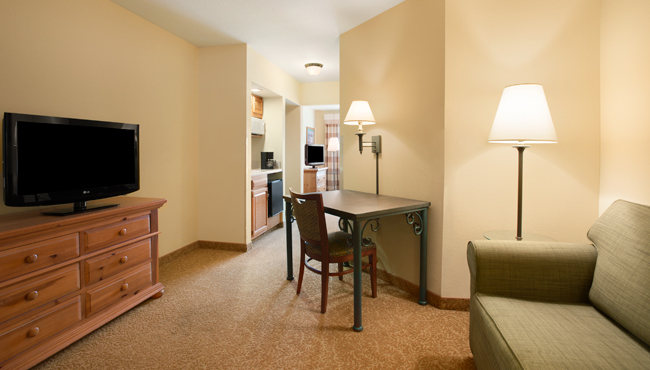 Enjoy additional space and privacy in a One-bedroom Suite, perfect for when you are traveling with children. Guests enjoy all standard amenities, like a microwave and refrigerator, in addition to the choice of one king, one queen or two queen beds. Celebrate a special occasion in these large suites, which feature a walk-in shower with dual shower heads, a spacious living area and a separate dining area. Plan a memorable evening with your significant other when you book our elegant Whirlpool Suite, which features an in-room whirlpool and a separate living room. 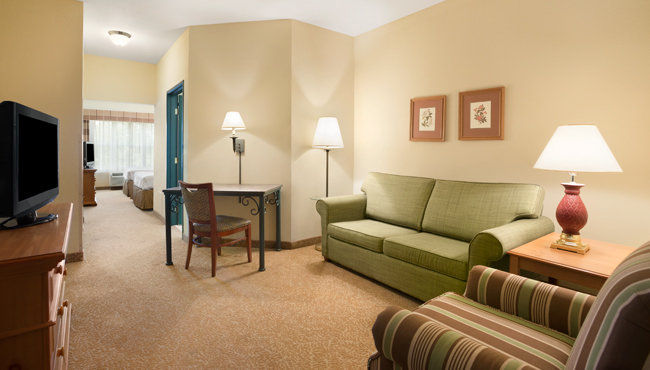 There's room for the whole family in this large suite. The Celebration Whirlpool Suite is also ideal for business travelers since the space includes a conference table for small meetings.